Inside: A kid-friendly crockpot apple cider that’s both easy to make and will have your house smelling like fall all day! One of my favorite things to serve at parties or while entertaining is homemade punch. 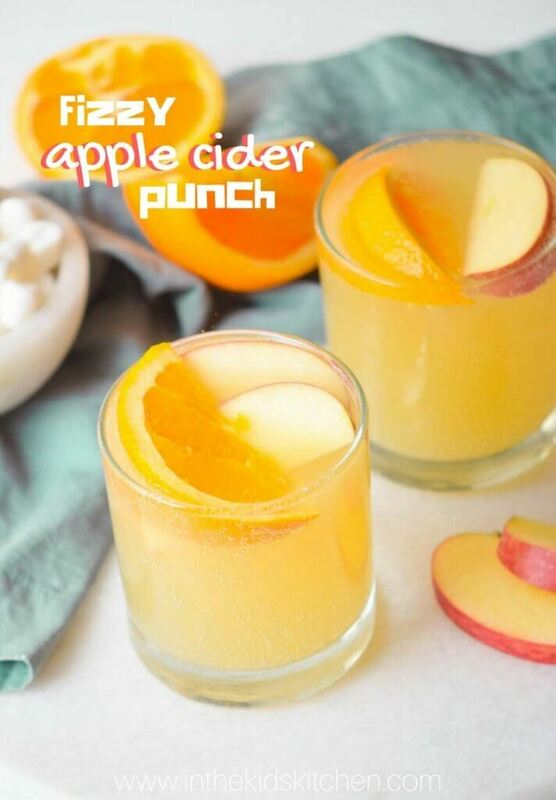 I like to avoid soda for the kids, so punch is a fun option that’s a bit more special than water or juice. 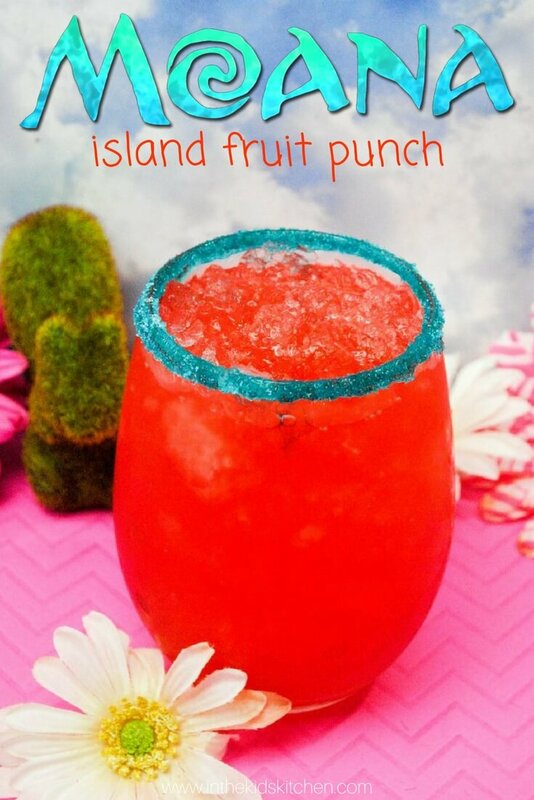 I like to make different ones depending on the season, like our Moana Punch for Summer or this Fizzy Crockpot Apple Cider Punch for fall. There’s something really wonderful about a warm cup of apple cider, especially if you’ve been outside in the brisk fall air. I use my crockpot to serve double time – to really meld the delicious flavors of the apple, cinnamon, cloves and brown sugar together and to keep everything warm so that it’s ready and waiting for us when we come inside. It’s perfect for keeping it the perfect serving temperature at a party (and helps you as a host avoid having to prepare and warm up every drink individually). 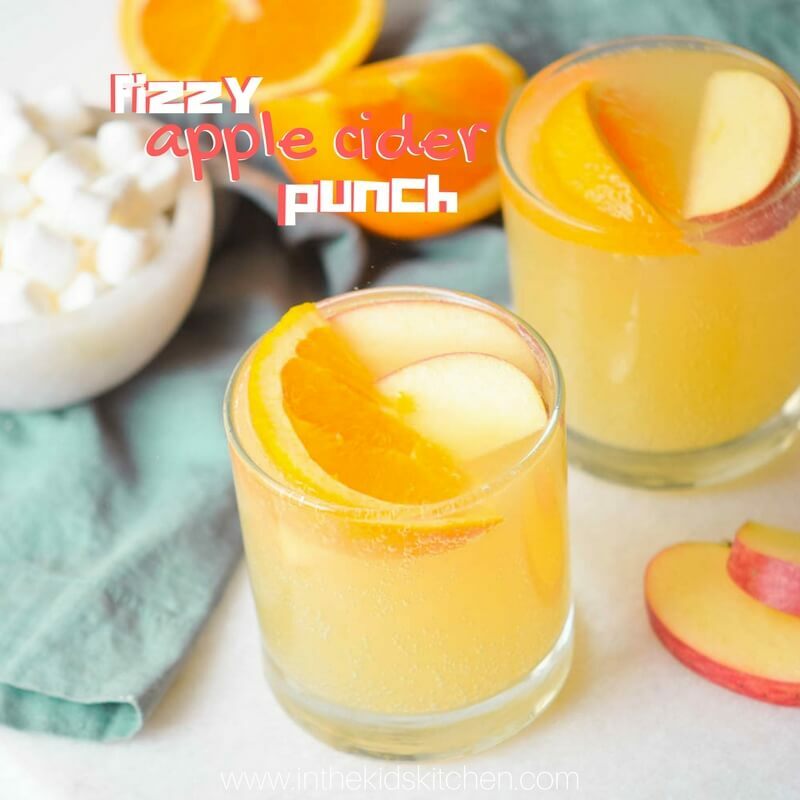 Of course, this punch is also delicious cold if you’re having a warm fall but still want those delicious fall flavors, or you can cook it on the stovetop instead of the crockpot. 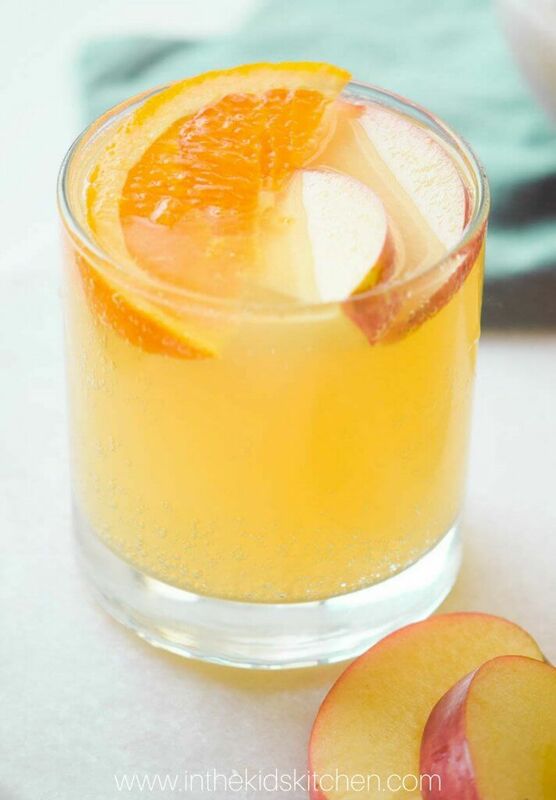 The addition of sparkling water adds an unexpected fizz and lightness to this sweet & spice citrus-apple cider. 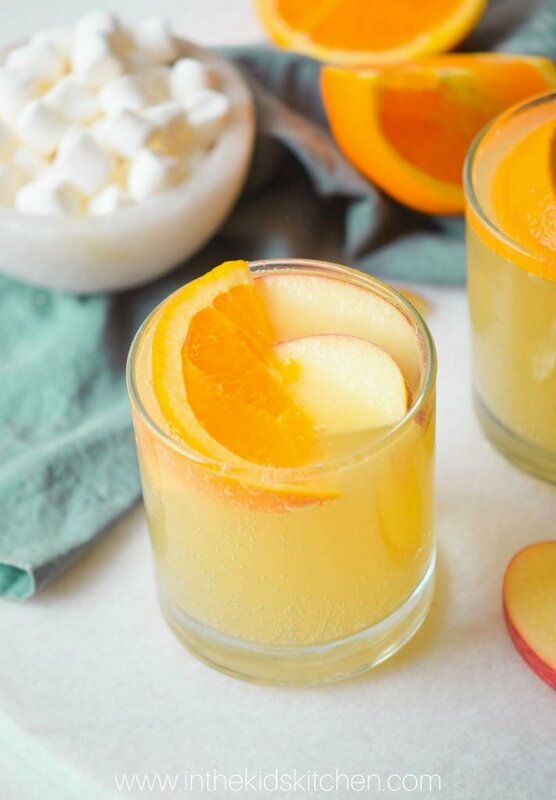 You don’t often have warm drinks with a bit of fizz to them, but it really works wonderfully especially with that bright yet understated orange flavor. This crockpot apple cider punch is perfect for parties, family get-togethers, or just a special treat to welcome the kids inside with after a few hours spent outside in the fresh fall air. You can whip up the ingredients beforehand and just add to the crockpot before heading outside or as your first guests start to arrive. 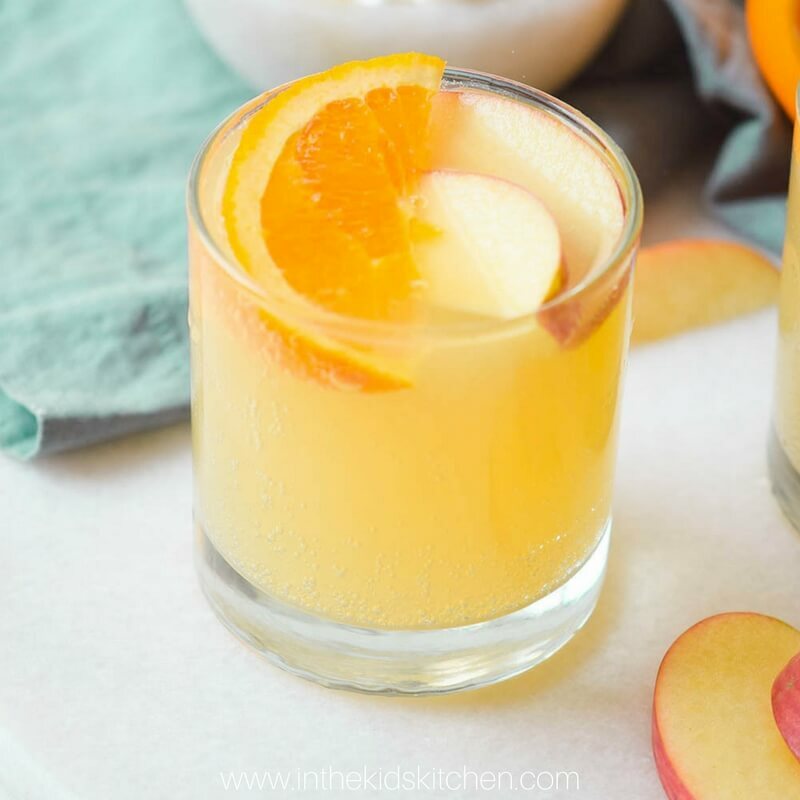 No matter the occasion, this fizzy apple cider punch is a welcome treat! Did I mention that your house will smell amazing too?! Tip: You can also skip the sparkling water and just add the equivalent in water to the crockpot. Add the apples, oranges, cinnamon, cloves, brown sugar and water into a slow cooker. Cook on high for 5 hours. With the help of a potato masher mash the fruit until soft. Using a cheesecloth strain the apple cider into a tall pitcher. Add the sparkling water and the apple and orange slices. Pour into glasses, serve and enjoy. Free printable recipe available at bottom of post. Well this is a new twist with the sparkling water. I like it! Pinning.